The Supreme Chamption Doe Kid was selected late Saturday afternoon- and a smiling Sydney Bean from Newcastle FFA had her Division 4 Champ picked for the big prize. Jaycee Watkins of Allen FFA grabbed the Reserve Supreme Champion honors for her Division Three Champion. 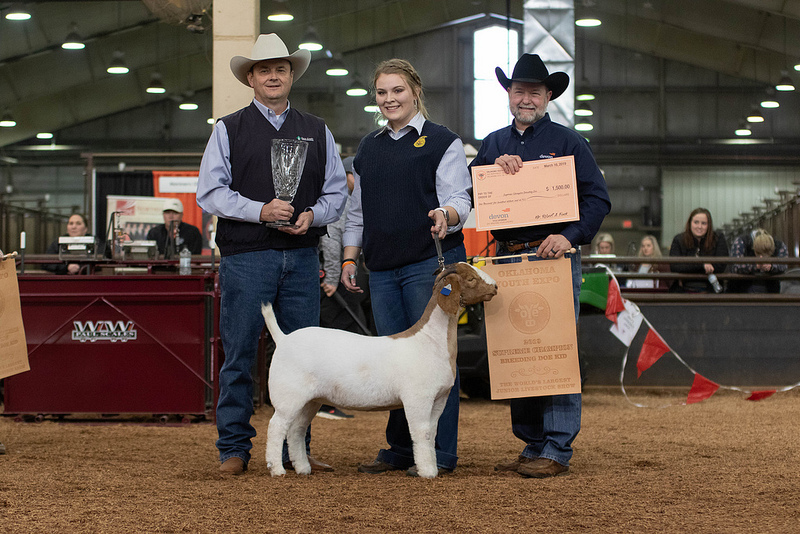 Ranked three overall in the 2019 show was the second place Division Four Champ owned by Kate Trammell of Washington FFA.